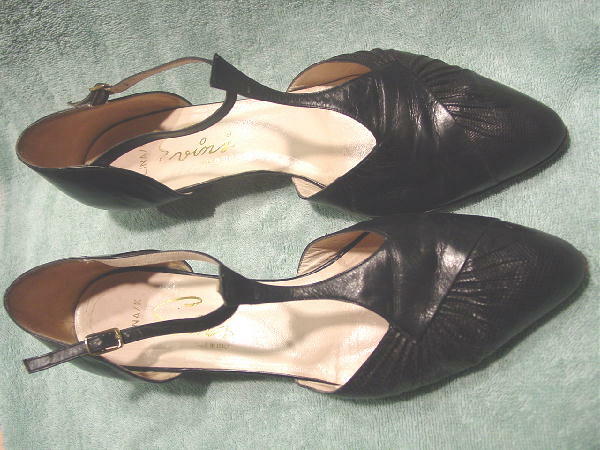 These vintage shoes were made in Italy by Evins. They have T straps and open shanks. 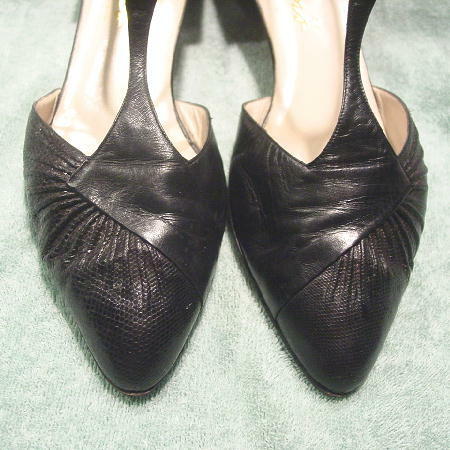 The front has a gathered black snakeskin outer side and the rest of the shoe and heel is a smooth black leather. They have bone leather linings and insoles. 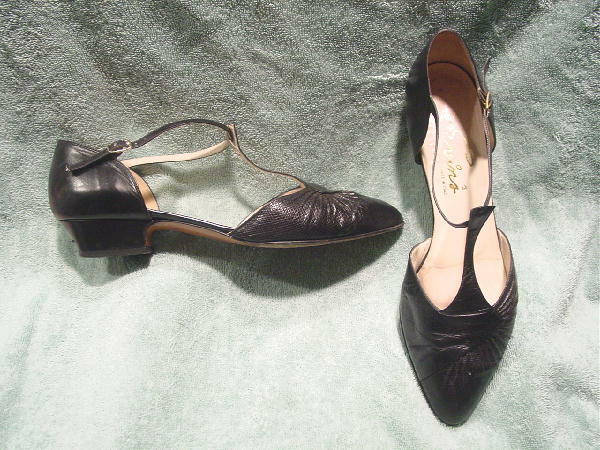 The foot heel backs on both shoes have scuff marks and the heels have scuff marks and dings. They're from a former German model who wore them all the time to castings.